Skytek Aircraft is recognized as western Canada's Zenith Build Center. If you need help with your build, or want us to build a Zenith aircraft for you, you've come to the right place. Please contact us to find out when we can get your project started. Rotax aircraft engines are also available through Skytek Aircraft. We have a wide selection of both engines and accessories specifically for Zenith airplanes. Please visit our Rotax Engines page for more information. 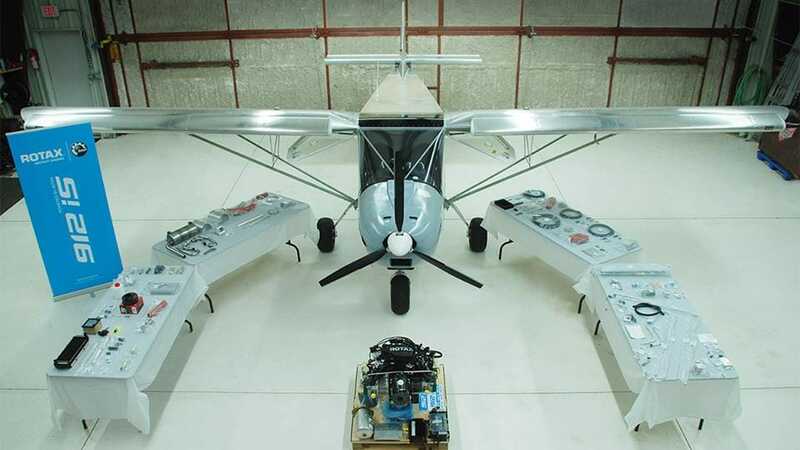 Over the years, Skytek Aircraft has designed, tested, and started to manufacture the Rotax Engine Installation Package (REIP) for the Zenith 750. This package includes everything you need to install the Rotax 912iS on your Zenith 750. If you would like to purchase this package as a whole, please click the button below to fill out the form. I would like to purchase this package. I would like more information. Please describe yourself so that we can serve you better. If you would like to ask a question, please write it down here. Many optimization kits are also available such as heal plates, steering rod swivels, our legendary tail skid, the windshield to skylight strip, and many more optimization packages. To view our optimization kits, please visit our online store.